The best way to truly appreciate the Amalfi Coast is on foot. Our wine + walking tour begins with a pickup at the Caserta train station ( an easy arrival point from Rome or Naples). From here, it's a 45-minute drive to our first destination: Mt. Vesuvius, the volcano that buried Pompeii. Today’s warm-up hike is a 2-mile jaunt up the final stretch of cone, following a broad cinder trail to the volcano’s rim, where we’ll see all of Naples stretching out at our feet. Then there's a complementary welcome lunch at a winery that resides on the slopes of Vesuvius. Next, we drive to Pompeii. 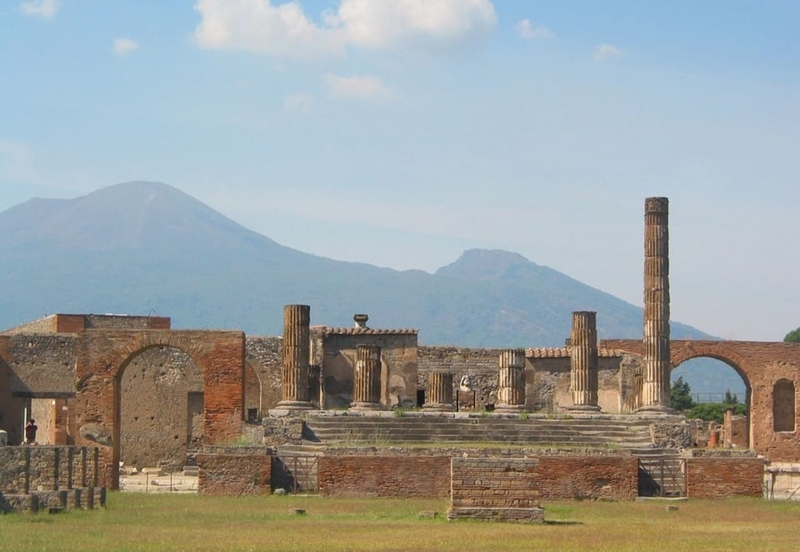 When Vesuvius erupted in 79 AD, Pompeii was a thriving, wealthy city full of epicures. Ancient wine bars lined the streets leading to the coliseum, and bar owners planted small vineyards next to their establishments. We'll have a guided tour of Pompeii and peek at the recently excavated Roman vineyards. 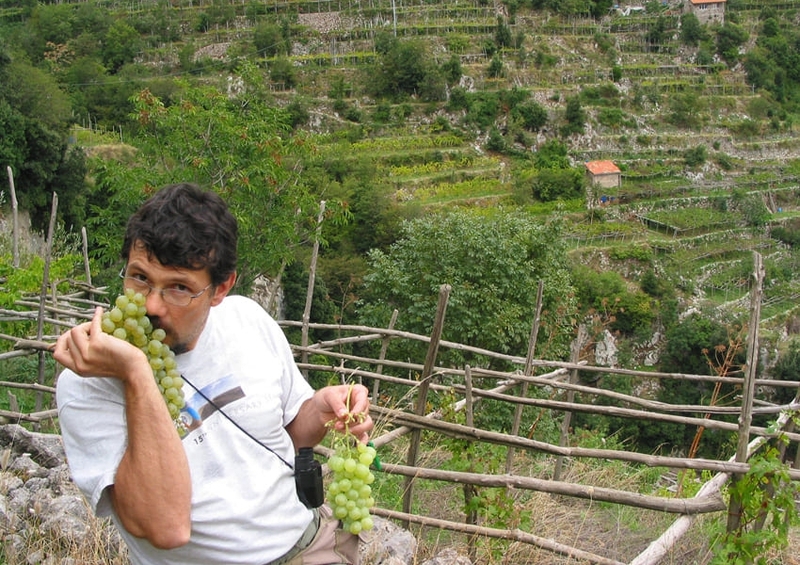 Here archeologists are working with the Mastroberardino winery to recreate ancient Roman wine. We’ll then continue to the town of Ravello and settle into our hotel. On the terrace before dinner, we’ll have an introduction to Campania wines. 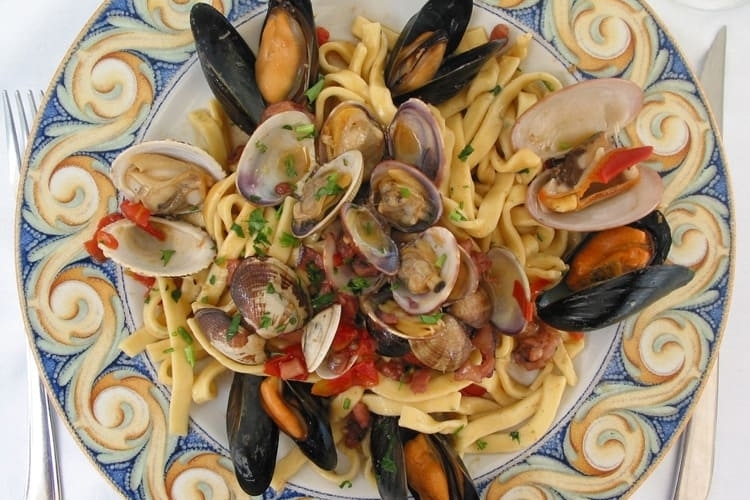 Dinner will spotlight the region's seafood-based cuisine, such as pasta with shellfish and cherry tomatoes. The coastal area surrounding Amalfi is surprisingly thick with woods. Today we’ll venture into the hills, part of the Apennine mountain chain. Our loop hike from Ravello takes us through old chestnut woods (where you’ll still find locals collecting chestnuts in the fall), pine forests, and along ancient trails. Back in Ravello, there will be free time to explore the stunningly beautiful Villa Cimbrone, the secret hideaway for Greta Garbo and Leopold Stokowski when they eloped, which has extensive gardens, gazebos, and terraces overlooking the sea. At the hotel, we’ll meet on the terrace for an informal wine tasting and the story of Naples’ ties to ancient Greece. That history is visible today in such local grapes as Greco di Trufo and Aglianico (“Hellenic”), brought from Greece 2,000 years ago. Today’s hiking destination is Amalfi, once a formidable sea power equal to Venice, Pisa, and Genoa. We head into the wooded hills, passing tiny vineyards, limoneti (lemon groves), medieval ruins, and the town of Pontone. A gradual descent follows a stream in the Valle dei Mulini (Valley of the Mills) down to Amalfi. Once in town, we’ll visit a limoncello factory and see how this famous lemon liquor is made. There will be time for lunch and sightseeing in the magnificent Amalfi Cathedral or at the town’s well-stocked wine shop. We then shuttle to Furore and our next hotel, owned by cousins of highly regarded winemaker Marisa Cuomo. We’ll take a look at her pre-phylloxera vines, then drink her wines with dinner at the hotel, which features such regional fare as grilled zucchini with mint; baccala (salt cod) with fennel fronds, red peppercorns, and arugula; and scamorza (melted smoked cheese) wrapped in lemon leaves. Mamma mia! The Amalfi Coast is best admired from on high. Today we'll walk along mountain ridge that parallels the sea, taking in vistas that town-bound visitors to the Amalfi Coast can only imagine. (It’s not called “Path of the Gods” for nothing.) Our hike takes us past steeply terraced vineyards, mountain grottos, herds of sheep, and abandoned stone huts. Though we remain on the ridge without climbing or descending to any great degree, there are moments of scrambling on the rocky paths. We'll wind up in the hilltop town of Nocelle for lunch at a trattoria with a panoramic view. Afterwards, you can choose to descend by foot or van to Positano, the coastal town where our final hotel is located. (By foot, we’re on sidewalks that switchback through backyard neighborhoods and gardens.) The rest of the day offers free time in Positano to shop or relax. Our evening wine tasting spotlights the white wines of Campania: Greco di Tufo, Fiano di Avellino, and Falaghina. Dinner in town offers another fantastic view. After disembarking, we'll walk to the top of Capri the town, winding through its streets and sidewalks, then set off on our loop hike. We’ll follow a path high on the sea-cliffs, tracing the circumference of the island and flanked by wildflowers and scrubby pines. We can finish with an optional stop at the archaeological site of Villa Jovis, the Imperial villa of Emperor Tiberius, then return by ferry. Pre-dinner, we’ll convene for an informal wine tasting at the hotel, featuring Campania’s red: Aglianico (dubbed “Barolo of the South”), Piedirosso, and Lacryma Christi. Dinner is on your own in Positano. Today's hike winds through the town of Montepertuso, then up into the coastal hills. Though it’s a long climb to the top, we’ll be in dense, cool woods where oak trees, herbs, and Mediterranean scrub line the way and provide a magical setting. The descent back to Positano follows a different path: an ancient, exposed switchback that was once the old road to Naples. Back in Positano, there will be time for last-minute shopping, then we'll meet for our final tasting. Our farewell dinner is at a charming mountainside restaurant, which offers fantastic grilled meats (a perfect accompaniment to Aglianico) and an arrary of homemade liquors. 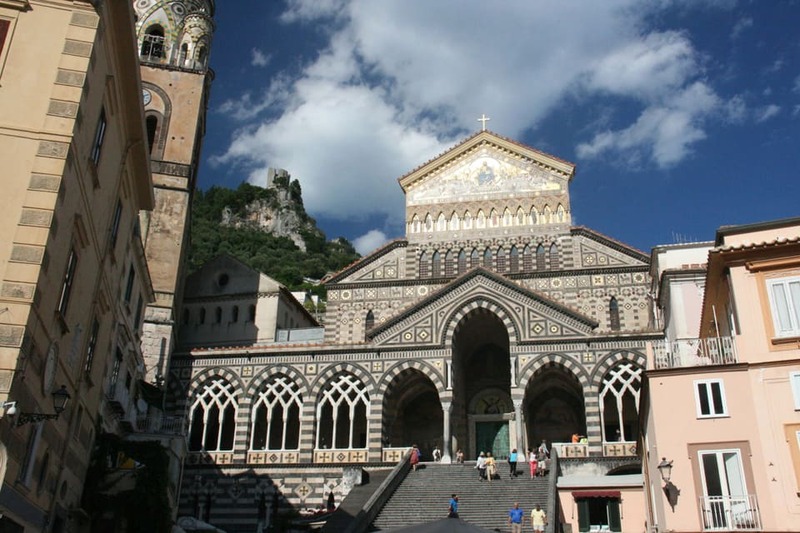 Want Amalfi without the hiking? 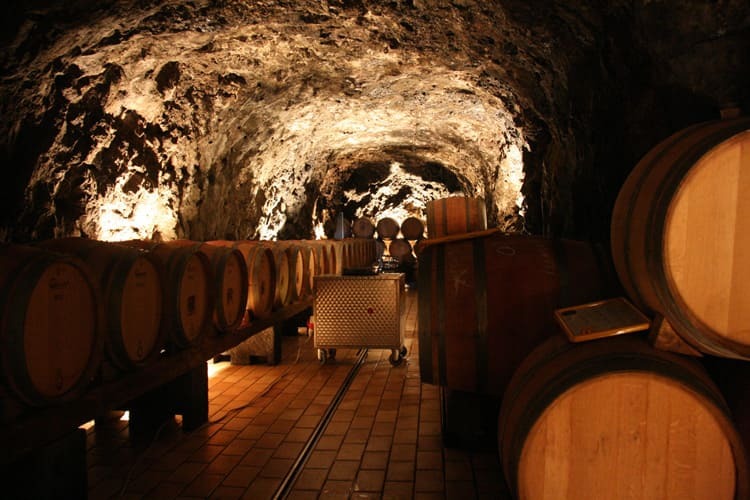 Join our public tours Amalfi for Winelovers. This is our most challenging hiking tour. The coastal mountains are about twice the height of the Cinque Terre, so be prepared to climb! Most of the time we're on trails that cannot accommodate vehicles, so we are often without a support van. Portions of our hikes are on quiet, paved roads or sidewalks that zigzag through towns, connecting the hilltop villages with beaches and fishing coves. But the majority of the time we’re on trails—sometimes in the woods, sometimes on mountain ridges, where a bit of rock scrambling is involved. Walking sticks and hiking boots are strongly recommended. Naples. Meridiana Airlines offers direct flights from New York. Otherwise, you’re going to be connecting somewhere in Europe. Alternately, you can fly to Rome, then take the fast train to Naples. Plan to land in Italy at least a day before the tour begins; that’s necessary to be at our starting point on time. We meet at the Hotel Miramare in Naples, located on the lungomare or seafront promenade. We recommend this hotel for your pre-tour stay. For other options, email us or check a good hotel search engine like TripAdvisor or Hotels.com. On our final day, we’ll have you back at the Naples train station by noon. Because this tour does not include any time in Naples, we recommend spending a few days there. All of the treasures from Pompeii are there, in the National Archaeological Museum. Plus, there are museums, castles, churches, and palaces that cover 2800 years of history. And authentic Neapolitan pizza! When packing, check www.weather.com. Go to “Naples, Italy” and “Amalfi, Italy” to get a general idea of temperatures and forecast. Price based on the accompanying 7-day itinerary for 4 pax, double occupancy; discounts for larger groups. Modifications are possible, including the number of days, level of accommodations, amount of wine tastings, and inclusion of meals.